What sized band do I need for my event? 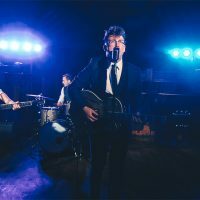 There are a few things to consider when choosing the right band size for your event: budget, number of guests, size of venue, and playing time. Let's take a look at each one. The reality is that if you want a big band with lots of musicians then it's going to cost more money to pay them all. A bigger band doesn't always mean that it is going to be louder. Different sized bands have a different musical sound and are more versatile in the kind of music that they can provide to you. There's certainly nothing like hearing a big band with a horn section and all the bells and whistles. However, even a duo, with the appropriate equipment and skills, can rock the party. The size of the PA system has more impact on how they can project that the number of players. However, it is difficult to get that true swing band sound from an acoustic duo. If you like rock music then you probably won't need to spend the money on a horn section. The point is that each ensemble will have a specific sound and we can help you match your preferred style to the size of the band. If you only have a small number of guests at your event then it may not be worth having the musicians outnumber them. It may be that you just need a trio or a duo. If you have 400 guests at the event then it may be important to get a larger band with a bigger and more powerful PA system. This will make sure that everybody gets to experience the music that is created at its fullest wherever they are in the room. If the venue is very small then getting a large band could be detrimental. Big bands can take up a lot of space and you wouldn't want the band to spill over anaesthetically. 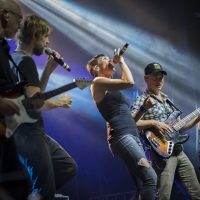 If your venue can accommodate a larger band then it is worth investing in the larger and more sonorous sound that is created by more musicians. The size of the venue and the interior acoustics will play a big role in the viability of the band size. If you only want the band to play for a very short time at your event then you may wish to choose a smaller group. A large band is significantly more expensive and it may not be justified only having them for a short period of time. Your budget, size of venue, number of guest and allocated music time all play a part in choosing the right band size for your wedding. If you contact us we will help you make the right decision that will work best for your unique event. How long will the band play at my event? It really depends on the type of event that you are booking. The standard call-time is 5 hours. Within this 5 hours we play four 45 minute sets and this gives the band 15 minutes break between each set. This is necessary as singing for a long period of time (for example) is damaging to the vocal chords. The fifth hour is dedicated to speeches and other formalities that may be schedule for the event. At a wedding reception it is very common to have two 45 minutes sets of dinner music and then two 45 minute sets of dancing music. For a ceremony it is common to have the musicians play 30 minutes prior to guests arriving, then during the ceremony, and then for 20 minutes after the guests leave. Corporate events vary more significantly in their scheduling. Private parties tend to follow a similar timeline to weddings. Every event is different and it is important to contact our team to create the best music schedule for your event. Can I have a band and then a DJ later in the night? This is a perfectly reasonable request. Often the venue will dictate whether music can continue past a certain time in the evening. Many city venues have strict curfews that they need to adhere to in order to retain their entertainment licences. If loud noise and curfews are not an issue then the only thing stopping the continuation of music, after the band has ceased, is your budget. Call us and we can discuss the options that are available for this request. Often band member will have DJ skills that can be employed after the band sets have finished. This can save a lot of money as opposed to booking a specialised DJ to begin playing very late after the event. Can I request songs for the band to play? You can request songs. However, the band will have a specific repertoire that they know well. If we are required to learn more songs than the designated quota for an event then we will need to charge $50 per song per musician. This is because it takes time to sit down and learn the song properly. Does Big Thanks provide an MC? Yes. The role of the MC can be a stressful job on the night of wedding. We charge $300 for this service. Can I choose to exclude certain music from my event? Absolutely. Musical preference is a very personal choice. We are happy to keep to the style that you would enjoy. We also understand that some people may not wish hear certain lyrics due to religious or cultural reasons. We request that these details be provided prior to the event so that our band can make sure we adhere to your request. Can the band play many different styles of music at the same event? Jazz and rock? Absolutely. We try and keep our repertoire fairly diverse. This is particular true for weddings where the audience demographic tends to be more widely spread than at corporate event or private parties. Often grandma and grandpa are in the audience, along with some young kids, and the all your close friends. We try and play music that will be appealing to everyone. Sometimes this means throwing in some golden oldies as well as what is currently on the radio at the time of your event. How does the bandâ€™s sound check work and how long will they need? The size of the band will largely dictate how long they will need to sound check. If it is a small group, like a duo, then the sound check will be very quick. For a large band with everything, it can take between one and two hours to fully set up and sound check. sometimes, if time is very tight, we can setup quickly and use the first quiet / chilled set to tweak sound. This is not ideal but it can work. Can I have a male singer and a female singer? Yes. In fact, this is highly recommended. This allows for harmonies to be introduced into the music. This sounds fantastic. Also, it also opens up the repertoire options. The men can sing the male songs and the female can sing the girl's songs. Also, duets can be a really interesting feature of the event. We highly recommend booking both singers. Can I sing with the band? If you have booked the band then we are open to the possibility of you singing with us. However, at many events drunk people try to get up and sing with the band. They always sound terrible, turn off the guests, clear the dance floor, and can damage equipment. For these reasons we strongly discourage audience members getting up and singing with the band unless is has been specifically organised prior to the event date. Most of our songs are in english. If you would like the repertoire to be played mostly in your native tongue then we would need to hire a specialist singer who sings in that language. This would cost extra money depending on the rate of the independent singer. 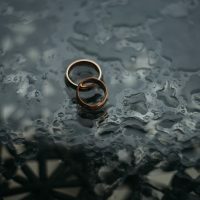 Will the musicians at my wedding ceremony be different from those at my reception? This is dependent on what kind of musicians you would like at your ceremony. If you would like strings are our ceremony then it is unlikely that these will be the musicians who play at the reception in the band. However, if you would like to have an acoustic group at your ceremony, often these players can comfortably transition into the band later at the reception. In fact, it can be more economical to use the same players at both the ceremony and the reception as the fee will be lower. Will the band provide lighting for the dance floor? Our lighting is specific to the band. Often the lighting for the band spills to the dance floor. However, if you want lighting specifically for the dance floor then we will need to organise a budget for this based on the size and space of the venue. Lighting rigs can be big and expensive and it really depends on how serious you would like the show to become. Does my event location change the price of the band? Yes. We need to charge a travel fee once we get an hour outside of the Sydney CBD. We pass this fee on to the musicians so that they can pay for fuel and the time associated with the travel. Our rate is $60+GST per hour per musician round trip. So if the venue is located 2 hours outside of Sydney's CBD, then will charge 4 hours of travel time per musician. Can I choose what the band will wear on the night? Yes. We have can provide a series of attire options for you to choose from for you event. We will need to charge extra in order to cover the costs of hiring any specialised outfits like specific tux's etc. The standard wedding reception attire is a white collared shirt with black pants and black shoes. How do I book the Big Thanks Band? We recommend emailing us at [email protected] This way we can evaluate the details of your wedding and then call you with some pre-thought-out recommendations. You are also welcome to call us on the number provided on this site. Does the number of people at my event change the price of the band? No. The number of musicians in the band will certainly change the price. However, the number of guests will not directly affect the price of the band. However, if you have 400 guests, and it is a large venue, and we require a large PA system, one could argue that the number of guests is indirectly related to the price. Can I vary the arrangement of the musicians throughout the event? You certainly can, however, this request is uncommon. When we book a musician it for a 5 hour call. If you choose to not feature a musician throughout the evening that is ok, but you will still be required to pay for them. What kind of budget will I need for my event? This is highly dependent on all the parameters of your event: Location, venue size, number of musicians in the band etc. There is no one-size-fits-all when it comes to booking a band. A good rule of thumb is $150+GST per musician per hour. Can I see the band live before I book them? If you contact us we can organise a time for you to view us playing or rehearsing. We don't currently hold regular showcases but we are open to potential clients seeing us play. We feel that it is an important part in making a decision on the configuration of your band. What style of music do you like?